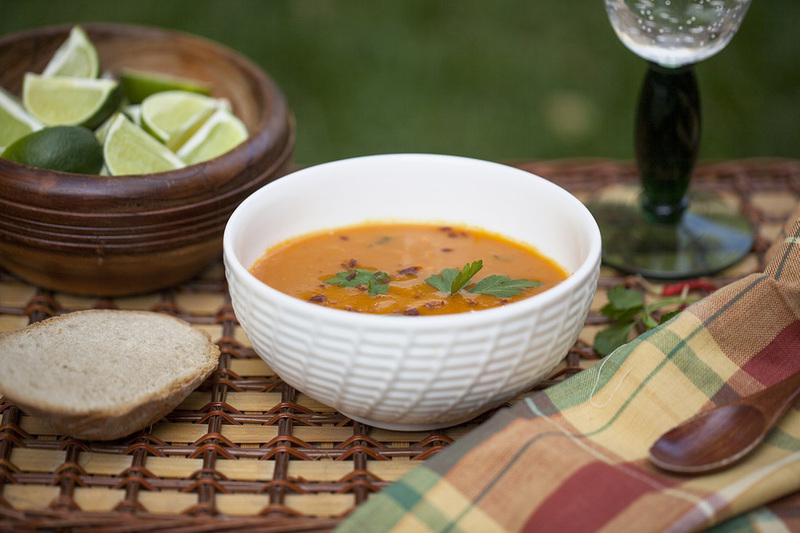 Just a few ingredients and you get this rich, sweet and spicy soup. 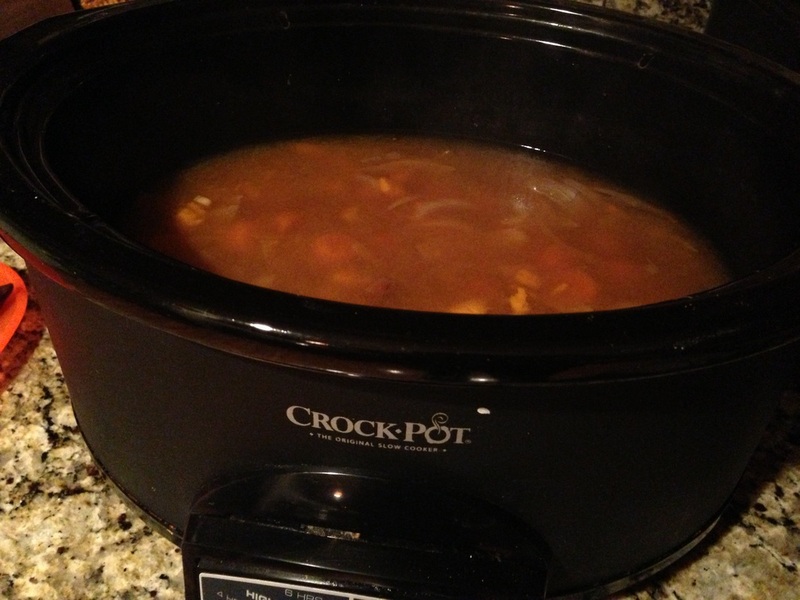 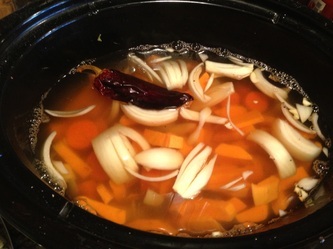 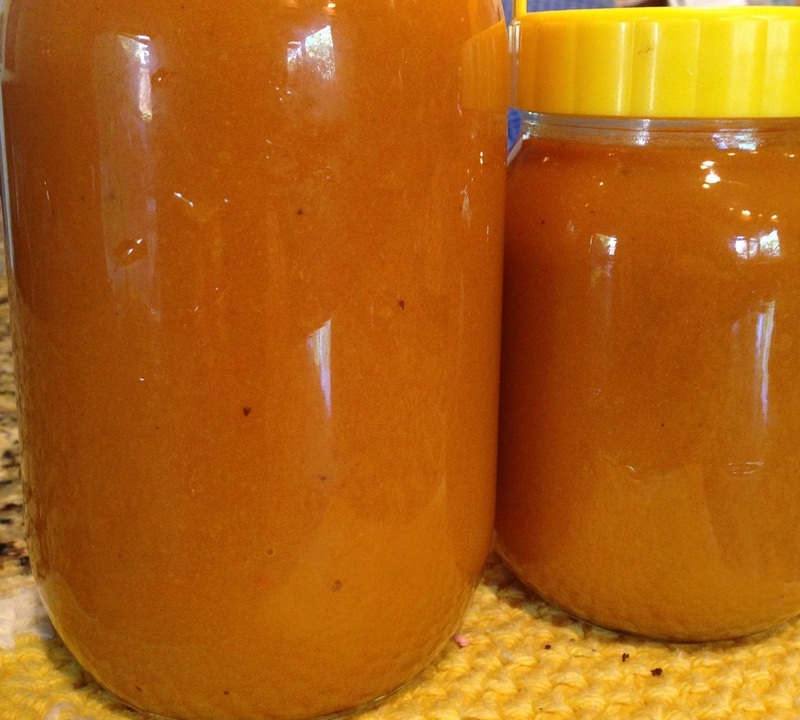 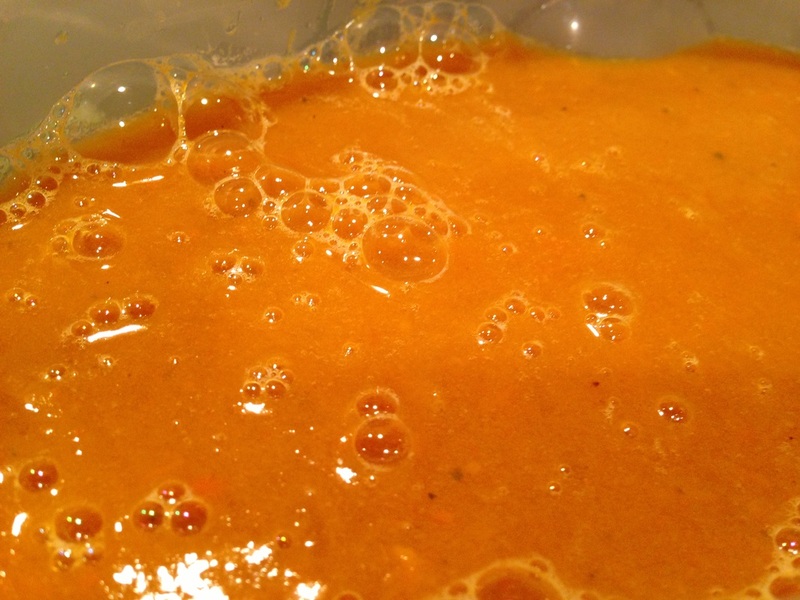 This soup can easily be made in your slow cooker or on the cook top. 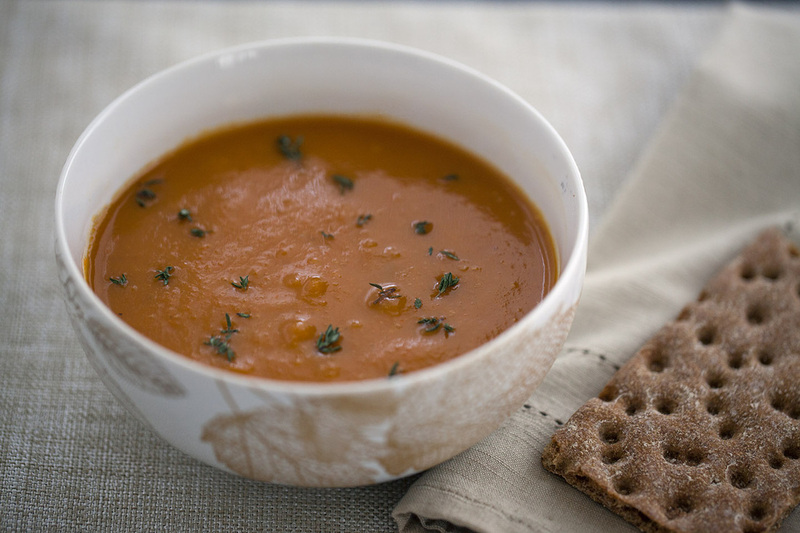 I love carrot and "anything else" soup. Carrots are inexpensive, good for you and delicious. 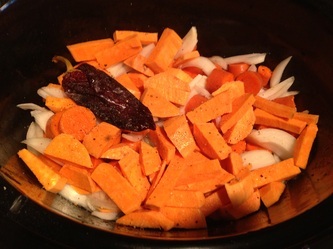 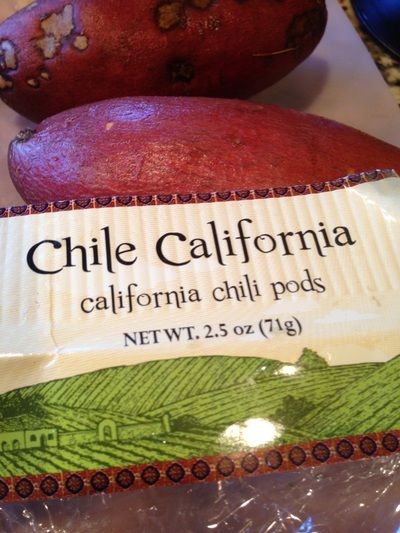 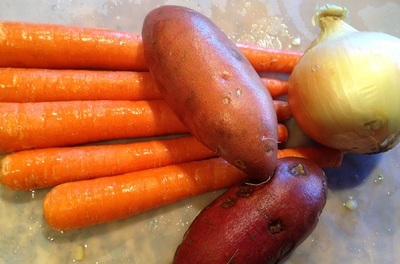 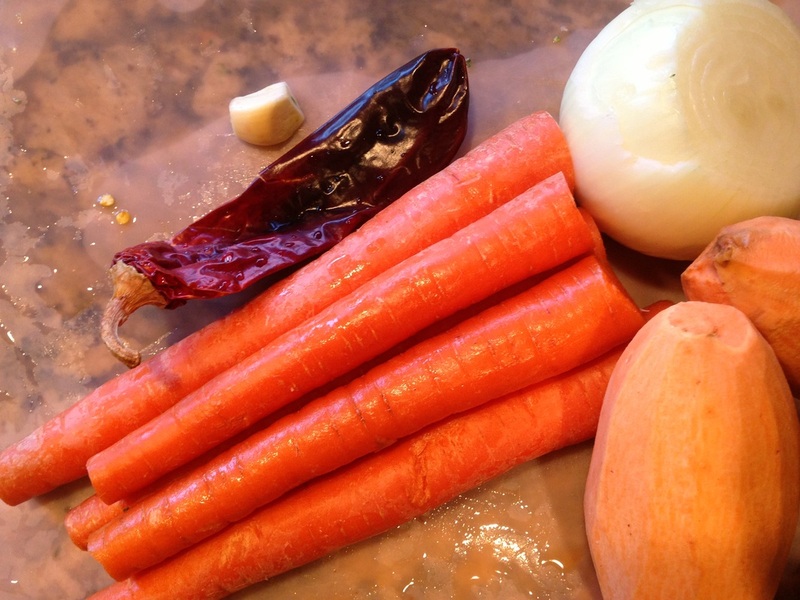 For this soup I paired them with sweet potato and a red chile pepper. 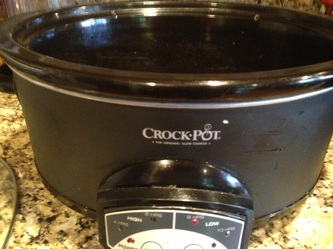 In Crock pot add all ingredients and cover with water. 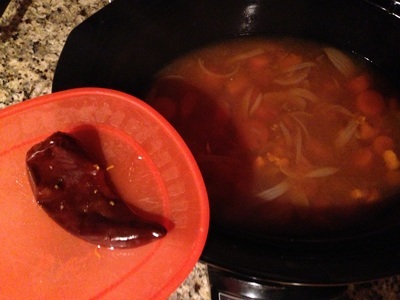 Cook 8 hours on low.Remove chile pepper and discard. 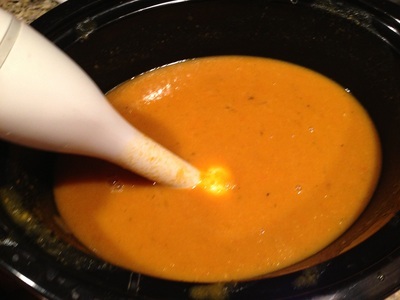 Add 1/4 cup coconut milk or cream. Blend and serve. 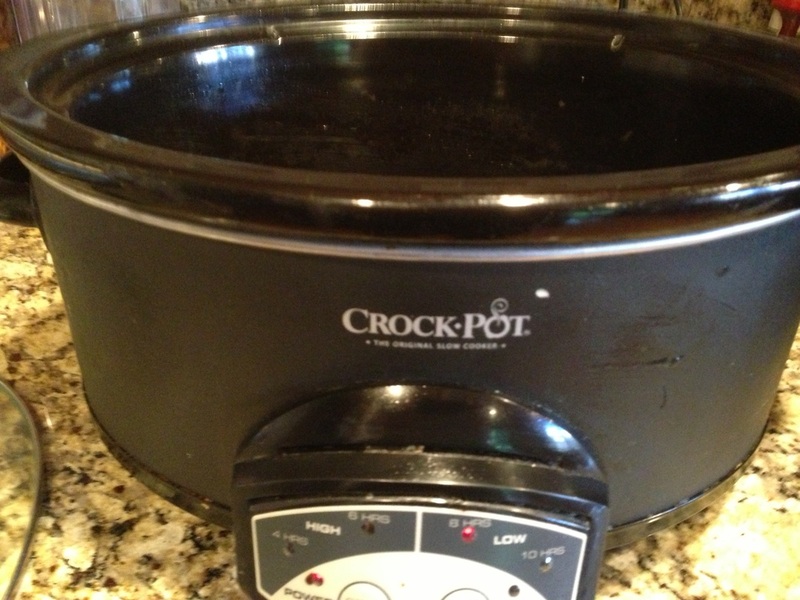 Don't you love the crock pot! 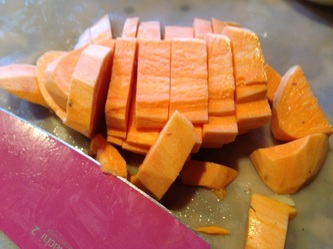 So easy and fun.